Cesar’s Concrete has been a part of the Loveland community for over 20 years now. However, our roots grow a lot deeper than that. Cesar’s Concrete’s founder, Cesar Mendoza, moved to Loveland from Mexico when he was in his younger 20’s and fell in love with the community, upon which he decided to start Loveland’s top choice in residential and commercial concrete services. Cesar’s Concrete is happy to offer their concrete services to the surrounding areas as well. Cities and towns like Fort Collins, Greeley, Windsor, Evans, and some of the other surrounding communities can all call Cesar’s Concrete for any and all concrete repair or concrete installation needs. Allow us to describe some of our services that we have been blessed to provide for over 1,000 Northern Colorado home owners and business owners. As one of Loveland’s top choices for concrete driveway services, we offer concrete driveway repair work, replacement, or we can even construct a driveway from scratch. We take tremendous pride in our work and go the extra mile to make sure our customers have a great experience with Cesar’s Concrete. We offer top notch quality for affordable prices which is why over half of our customers come from referrals and word of mouth. Get in contact with Cesar to learn more about our driveway services and get your free quote today. 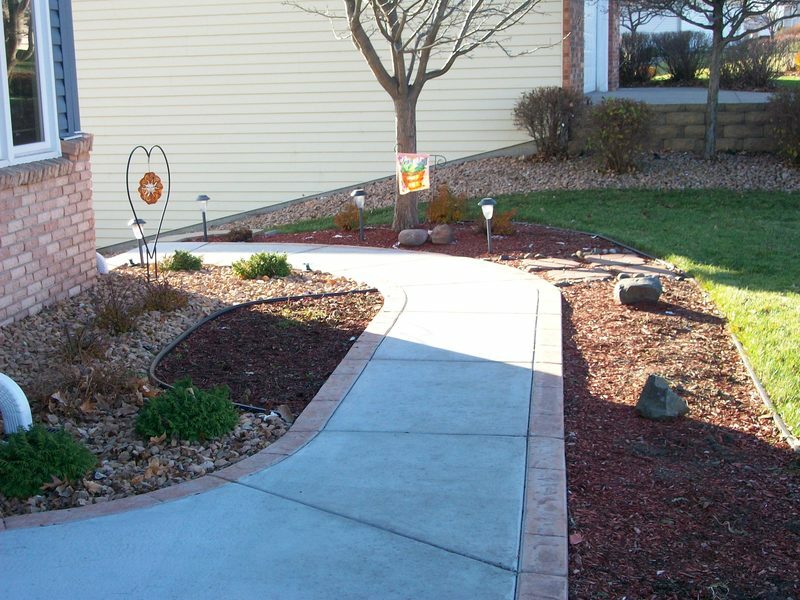 We are also Loveland’s top choice for residential and commercial concrete walkway and sidewalk services. Simply put, that means if you are looking for a concrete contractor who can bring decades of expertise to the table, provide exceptional customer service, all while being very affordable, then you have found the right nearby concrete contractor here with Cesar’s Concrete. Offering Loveland residents and businesses concrete patio services, Cesar’s Concrete brings decades of expertise and high-quality materials to provide Loveland with an affordable option when it comes to concrete patio services. We love to work with our clients to blend their vision with our experience so we can create a patio that property and homeowners will be proud of. Our experts will help match the style of your home or business the right patio design, which will result in a stunning, beautiful concrete patio. 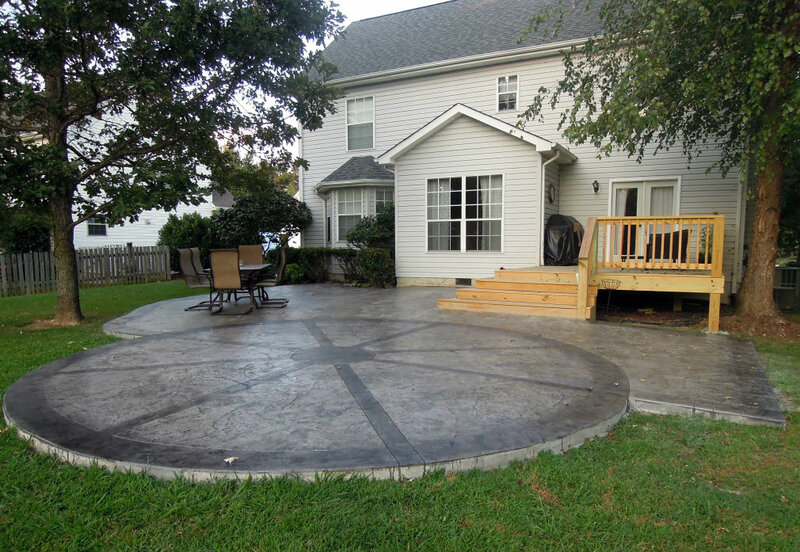 Combine our stamped concrete service with a unique colored concrete choice to make your concrete project a one-of-a-kind masterpiece. Whether you already know what color and design you are looking for, or would like to consult with our experts to decide, get in contact with Cesar’s Concrete today for your free, no obligation consultation and quote. When it comes to decorative concrete in Northern Colorado, there’s only one choice. Maybe you are like half of our potential clients; you were in Loveland and typed into your smartphone “concrete company near me” or “concrete contractors in my area”. Whether that common scenario fits your experience or not, we want you to know that Cesar’s Concrete is here to help you, and is Loveland’s top rated concrete contractor for a reason. Our blend of customer service and reasonable pricing makes us a choice worth consideration for your next residential or commercial concrete project. 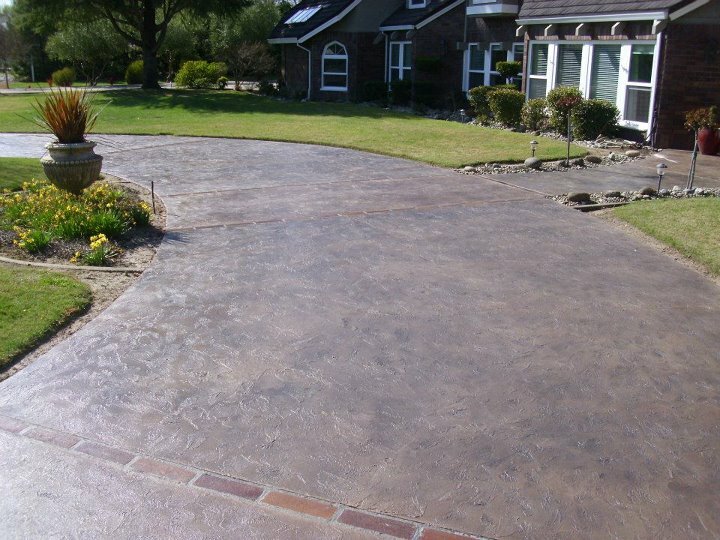 If you are looking for concrete replacement, concrete repair, or local concrete installation for a new design on your driveway, walkway, patio, or other concrete flatwork, then get your free estimate today! We love to help turn your dreams into reality in a cost-effective way.